When you lease to own, you can have your new equipment sooner without affecting your cash flow. You can have access to the newest models with the latest technology to replace your outdated equipment without having to pay up front. You can jumpstart your productivity by getting rid of inefficient systems without the headache that comes with a large expenditure. 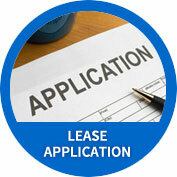 With a manageable down payment, leasing is a great alternative to purchasing equipment and can be done on any budget. What’s great about leasing to own is that your new equipment is productive and profitable immediately, so it can pay for itself in a shorter amount of time. You have endless performance capability available for your shop with just a down payment. There’s no need to plan for increased spending, and you can instead focus on remaining competitive in your market. Leasing to own does not affect any bank credit lines that are available to you. Our leasing contracts aren’t reported to personal credit institutions, so you can keep your business borrowing and personal credit separate. Since leasing to own is off balance sheet financing, your borrowing power is not diminished nor are your working capital lines of credit. Another benefit to this method is that your lease payments are 100 percent tax deductible as a business expense. Each business has a unique financial situation, but often leasing to own is far more beneficial than bank borrowing once you consider rates, the state of your credit and tax write off options.